Prime Minister Alexis Tsipras telephoned main opposition New Democracy leader Kyriakos Mitsotakis on Monday to express his condolences for the death of his father, former Greek premier and honorary ND president Constantine Mitsotakis. 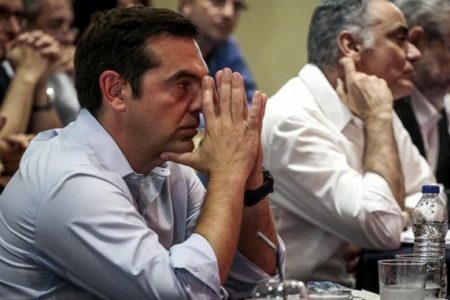 The Greek premier also wrote a message of condolence, in which he stressed that Constantine Mitsotakis was one of the figures that had help shape modern Greece and one of the main protagonists of the country’s recent political history. “With the loss of Constantine Mitsotakis, a great and important chapter in the history of this country is concluded…in the post-junta period he made a decisive contribution to establishing democracy and our country’s European course. To his family, those close to him and to his party, I express my sincere condolences,” the Greek prime minister wrote.